I first encountered the work of Dutch artist Melanie Bonajo several years ago in New York, through a series of photographs in which women’s bodies collectively asked questions about resistance, intimacy, satire and progress. More recently, I saw her ‘Night Soil’ trilogy in Amsterdam: semi-documentary films about the complex relationship between nature and culture, our role as humans within this relationship, and how to challenge capitalism through empathy and play. Bonajo’s first major institutional solo exhibition in Germany recently closed at the Frankfurter Kunstverein. This month she is taking part in ‘The Mole Keeps on Digging’ festival at HAU. Both works in the festival consider the possibility of an intimacy with animals and nature. I spoke to Bonajo about some of the ideas behind her work. Ilyn Wong: The third and final part of your trilogy, ‘Night Soil: Nocturnal Gardening’, deals specifically with alternative forms of economy under capitalist systems. The women in the film have created economies around taking care of each other. Can you talk about the work and about the relationship between labor/pleasure, work/play in this film? 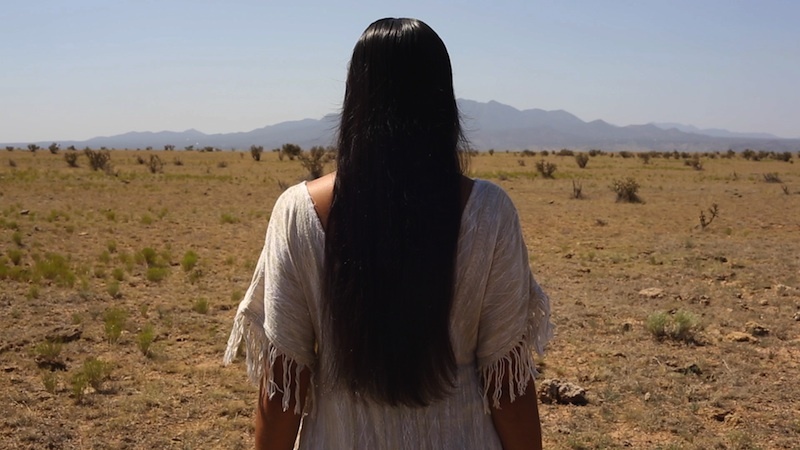 Melanie Bonajo: This film follows four women with different backgrounds, who approach radical land rights in an open, inclusive, and non-judgmental way. One of the women runs a sanctuary for pigs, mostly rescued from slaughterhouses. Her main goal is to challenge our views around the consumption of animals as food. At the sanctuary, humans and pigs take part in pig massages and cuddle groups. She wants to highlight the oppression that we as humans exercise on other species, but she communicates these concerns through play and pleasure, and asks us to rethink our ethical models. Her main goal is for people to extend the empathy we feel for humans to the animals that we would otherwise eat. Another woman in the film runs a farm in Upstate New York for mostly African American farmers. There is trauma with land use throughout the history of the United States, so she invites people of color to work through this trauma with their bodies. Through this labor, she is addressing the history of slavery, but also the history of urban communities that still have very little access to healthy food and nature. These oppressive systems make it very difficult to take care of each other and to find pleasure in food. At her farm, people can work through this historical trauma while growing their own food and building a community of sharing. She has also set up programs for young people facing incarceration. Instead of going to prison, they work on the land. A lot of feelings come up while being surrounded by plants and animals and in a community that actually loves and supports you and gives you space. IW: Your work not only explores the relationship between human and nature, but often depicts humans playing borderline-human or non-human parts. There is also a sacredness you bestow upon plants. What, to you, is the power of the non-human? MB: The hybrid is a space in which a lot of beliefs and presumptions we take for granted can be negotiated and questioned. We often over-rely on our rational or mechanical views of the world, thus suppressing aspects of our human nature that would otherwise be more sensitive and open. Thinking about the hybrid also creates spaces for new connections and possibilities. Right now I am working on a project about elves and children, which is also about a hybrid of human and nature. These ideas are related to the suppression of the mystical child, who is free from objective judgments of reality, but instead, lives in an empathic and subjective world in which lines are not so strictly drawn. I’m interested in these hybrids because too often we take autonomy away from the child, much like what Western cultures do to tribal points of views or people not living according to dominant societal standards – this can include women, or people who privilege their senses, bodies, spiritualities and emotions. We tend to apply all this judgment onto children through rigid forms of schooling: we dictate to them what’s right and wrong. It’s called Adultism. I’m interested in channeling our own inner mystical child – beings through which we can use an empathic lens to connect to everything that is alive around us, instead of living in a cold universe where things are either usable or not, capitalizable or not. IW: You’re dealing with serious issues that plague the world we live in, yet the voices that speak about them are often casual or almost playful. How do you position these seeming contradictions? What is the role of humor in your work? MB: For me there are often many opposing sides to the truth. All these ideas that are seen as truth are actually just different perspectives. Maybe it’s like a house party in your head: there can be contradictions, fantasies, anger, conflict, love and empathy. Humor is a way for us to process painful issues in the dark shadows of human nature. Humor and play are tools to criticize the absurdity of the system we’ve created. It’s a way to not take ourselves too seriously but still be conscious about the decisions we’re making in this game that we play everyday. Like in our earlier topic about animals and their consumption, most people really love animals, but most people also take part in some form of oppression of animals. Instead of making people feel guilty about it, I address these concerns through humor. I prefer to engage with others through friendship. IW: When I saw your work at Foam Museum in Amsterdam last year, the viewers were invited to sit on the ground in a short of makeshift tent. It reminded me of forts that children build and play in. How would you like these “immersive settings” to be experienced? MB: The settings are often an extension of the film or the performance. I would like people to encounter each other in spaces that are more intimate, where the rules are slightly different. You sit in a position that is different from sitting in a normal chair. Everything is soft and the lights change. You can feel someone’s elbow or knee or a piece of their hair but it’s totally fine because you are comfortable. It’s a way to step out of the white cube, which is a mental, historical, pre-set space to experience art. I wanted to be very sensual and nurturing for eyes and ears and bodies.